Have you ever wondered how the similar ad shows on social networks, websites which you have searched just now or in recent days? The truth behind this is whenever you search for any query (for e.g. flight to Chicago), Google or any other search engine bot will scrap your IP address with your personal information and preferences and display similar ads for you. From the articles, it is clear that the site is related to the law but still it shows hosting ads because I searched for hosting services. So no matter how annoying it is for you, but still search engines scrap your IP and shows the ads related to your search query. Why should you Take Care of It? Well, apart from search engines, there are millions of hackers whom main aim is to hack some good sites. If you are updated with social media or updated with technology news, you must be hearing every now and then that this site has been hacked, that site has been hacked, and personal data has been stolen etc. etc…right? Why these all happen? Because we don’t take precautions. Today when our life is almost dependent on online stuff, security has become a major concern. Recently I was searching for some kind of online tool which can protect me from such unethical stuff and I found Hide My IP. Hide My IP is an awesome online tool to keep you more secure, protected and help you to be online without revealing your actual identity. 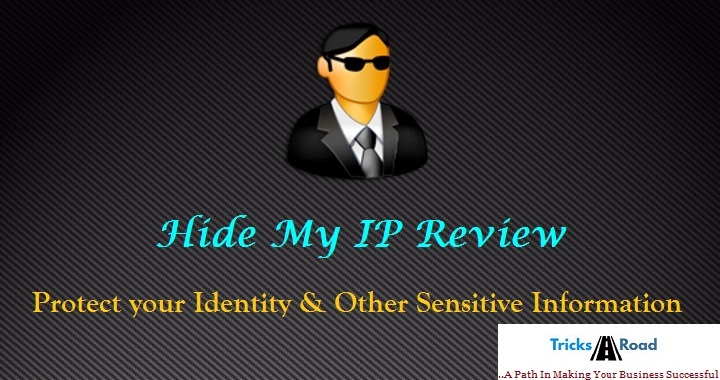 The working principle of Hide My IP is very simple but at most powerful. It moderates your browser proxy settings to change your IP to a fake IP which doesn’t even exists or it’s of some other location. The fake IP it generates are random and don’t even have any relation with your real identity. That means, with the help of Hide My IP, you can be online for hours without any fear that your identity will get stolen. With Hide My IP activated, whatever you will search, searching engines bot will crawl definitely but as it is showing IP of some other location so they won’t be able to show ads related to your search query. Hide My IP also helps you to access to the site that are banned in your country or in some particular places. Any sites that are banned are just for some specific country and if you will use IP of some other places, it will work and so what Hide My IP does. This is another benefit of using Hide My IP which enables you to access those sites which are banned in your country. Hide My IP will restore your real IP when you will stop using Hide My IP and then the IP will be shown will be your real IP. For all this what you will have to do is, just install Hide My IP and start working. I was really amazed to see that such an excellent tool also provide 14 days of a trial offer for Free (without a credit card). All you have to do is, just download the Hide My IP, install it and start using it. Now start the Hide My IP and select the IP which you want to show in the trial version you have access to some specific IP and you can select from that only. Suppose you have selected South Korea and started the services. Now your window of Hide My IP will look like below. Hide My IP Features- Why you should use it? Hide My IP is an excellent tool for all who live online, who surf for hours. There are a number of benefits of Hide My IP. Here I am going to list few of those. This is the biggest benefit. In online browsing, the key factor is IP address and what if IP address is not known? This is what Hide My IP does. It hide your IP and so it becomes very difficult for someone to hack your data, identity. This is the unique feature that I found with Hide My IP. It allow you to rotate your IP address with a minimum time interval of 1 Minute. That means if you are using IP from the US, just after a minute you can use the UK IP. This also helps when you need more hits from some specific country. Suppose you have millions of email ids and you are sending them emails and don’t want to reveal your identity. What to do? Hide My IP also enables you to send anonymous emails to anyone without revealing your actual identity. As an online marketer, you don’t want someone to know what you are doing online. Hide My IP is also helping you with this. After sales and before sales services are the major factor especially in the online market. Usually, companies provide before sales support quite good as they have to sell but when it comes after sales support, they lack. But you won’t have to worry with Hide My IP. They provide excellent after sales support. They have toll free customer care which is active money through Friday from 9 am to 6 pm PST. Hide My IP’s price is very low compared to what it does. It just cost $29.95 for the lifetime. You can first try their 14 days of trial and then buy the software. Also, the company offers you 30 days of money back guarantee. If for any reason you are not satisfied, you can ask for your money back within 30 days. I am using Hide My IP since a month and I really like this tool. They provide excellent feature at very less one time cost. What about you? Are you using any online security tool?